When I immigrated to Israel at age 9, I had to get used to the local traditions. Many things I found strange and incomprehensible. At Lag BaOmer, my class used to get together in the afternoon, "take" (= steal) a shopping trolley (cart) from a supermarket, and go around "collecting" wood for the bonfire. Sometimes there were dry branches lying around in a park, but usually this meant stealing wood planks from building sites. The parents and teachers knew about this stealing and turned a blind eye to it. In the evening, the celebration itself involved lighting a bonfire in an open area, usually a sandy patch not far from buildings and roads, and sitting around, roasting potatoes, singing, telling stories, and toward the end of the bonfire someone would usually try to throw a spray can into the fire to see if it would explode. The smell of smoke lingered and stuck to everyone and everything for days. The whole thing, from the stealing, to burning a precious resource, to creating air pollution, to the risk of injury and of the fire spreading, to various other types of irresponsible behaviour, seemed alien to my English sensitivities. I have always disliked the smell of smoke, and two major fires in my city, Haifa, in 2010 and 2016, have made the whole issue of deliberately lighting bonfires particularly traumatic for me. 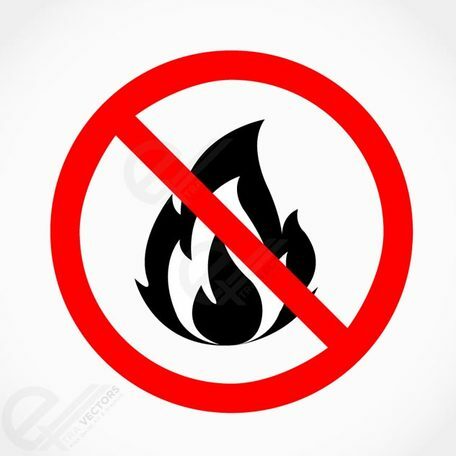 So I was very pleased to read that this year the Haifa municipality, along with those of a few other cities, has banned bonfires for Lag BaOmer. The immediate reason for this is the current hot, dry weather, with strong dry winds blowing from the east, increasing the risk of the fire spreading. As we saw last week, ignoring weather-related risks can cost lives. I would like to see a permanent end to all bonfires within residential areas. Just because something is traditional doesn't mean it has to persist. We can evaluate the cost versus benefit and change our minds.